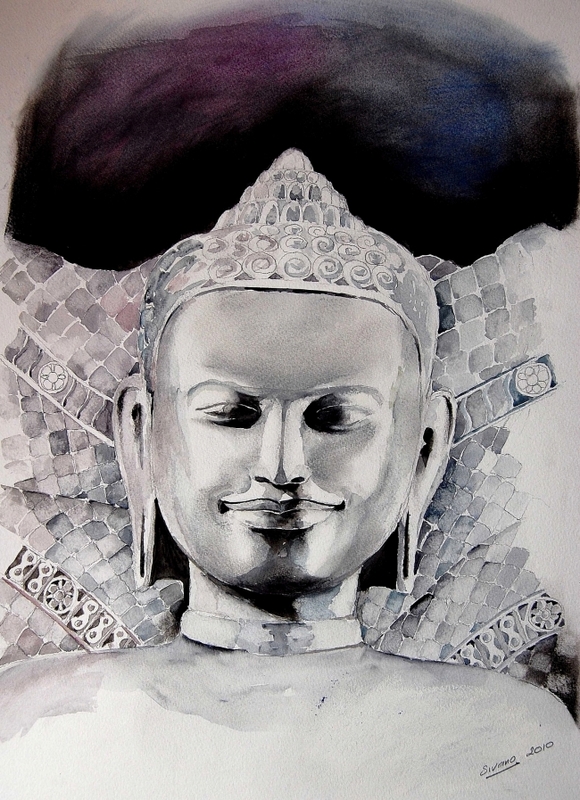 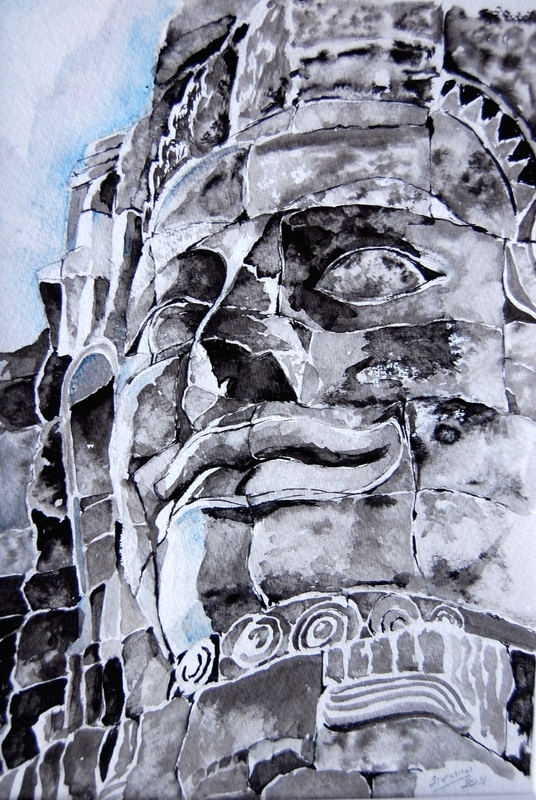 Reproduction in china ink of a typical Bayon face. 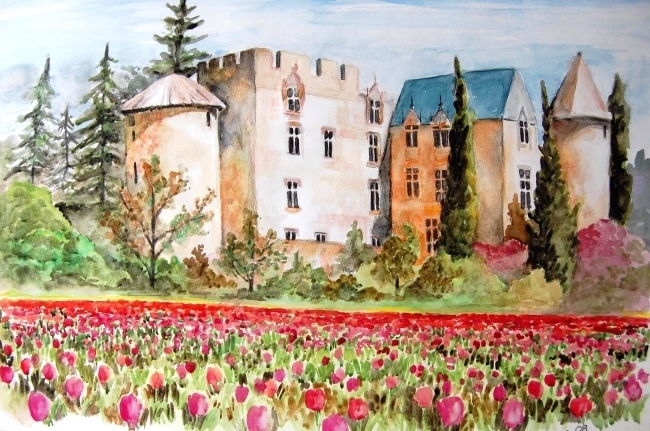 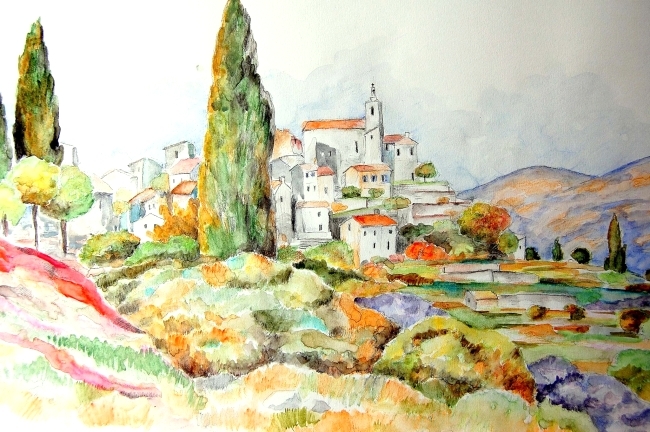 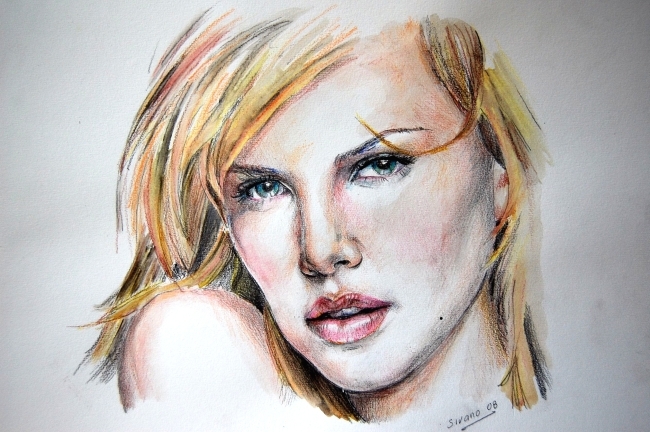 Aquarelle Painting and Pencil. Portrait of a Bollywood Actress. 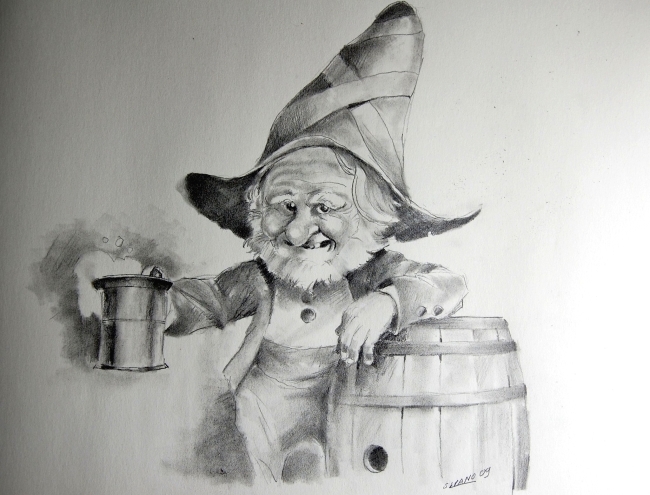 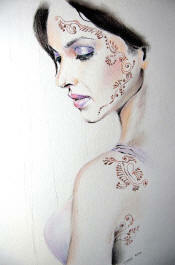 Size 40x50 cm Price $100 Aquarelle Painting and Pencil. 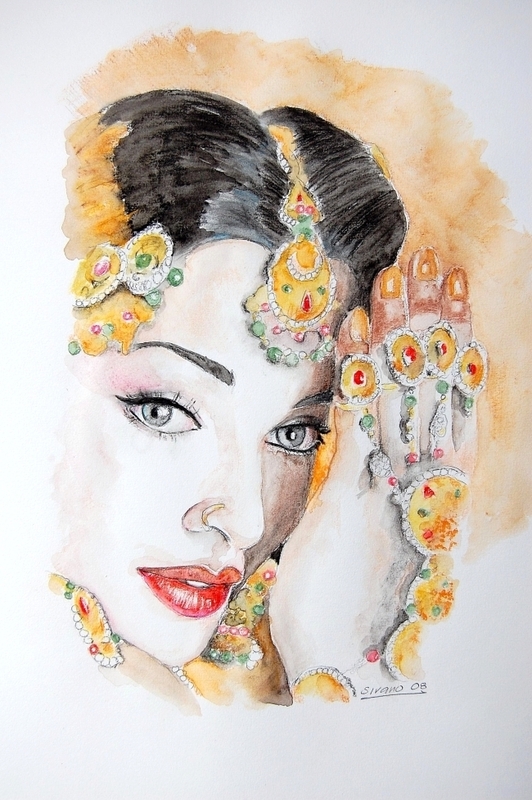 Portrait of a Bollywood Actress. 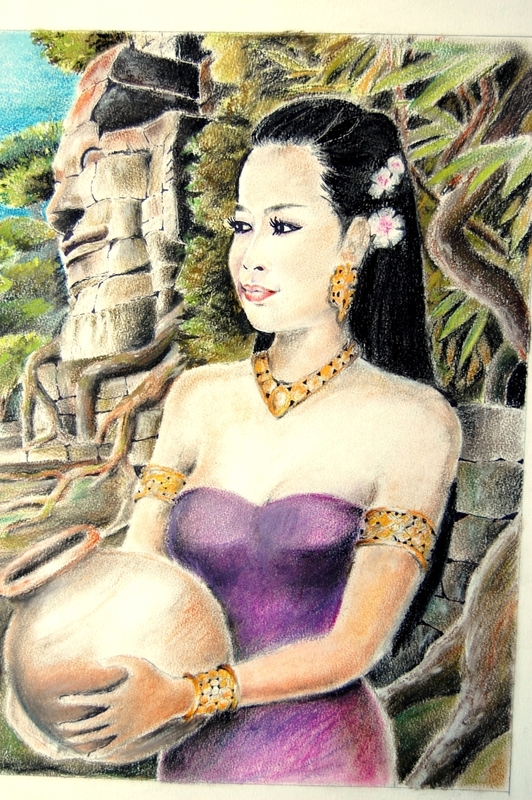 Reproduction from an old picture in China ink. 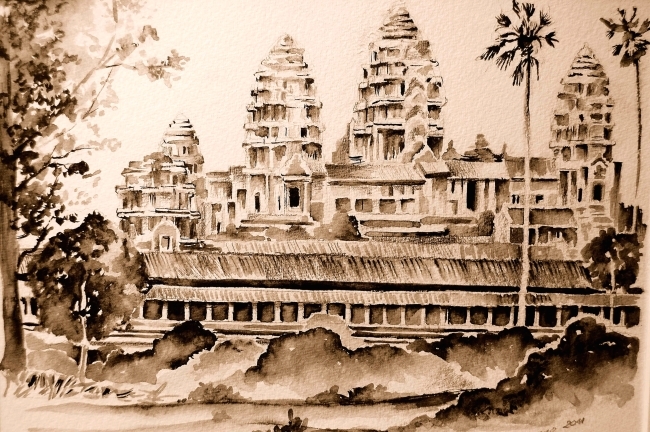 Format of Angkor temple during the French Colonial period. 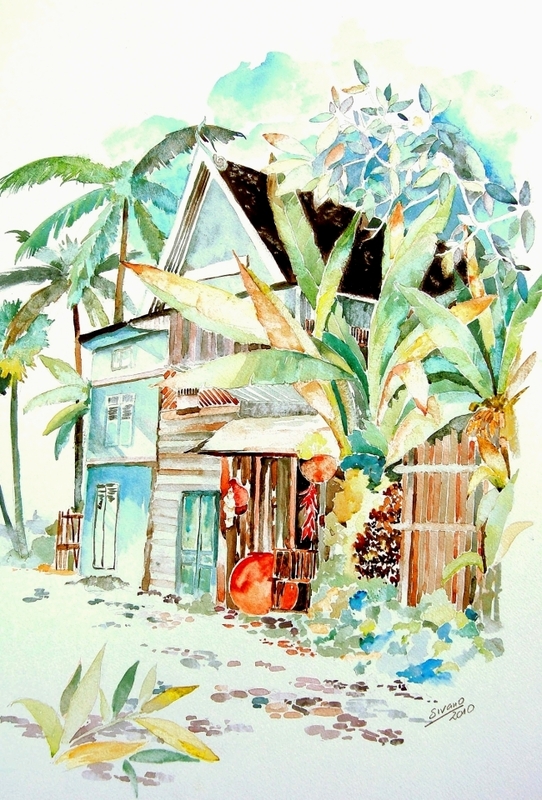 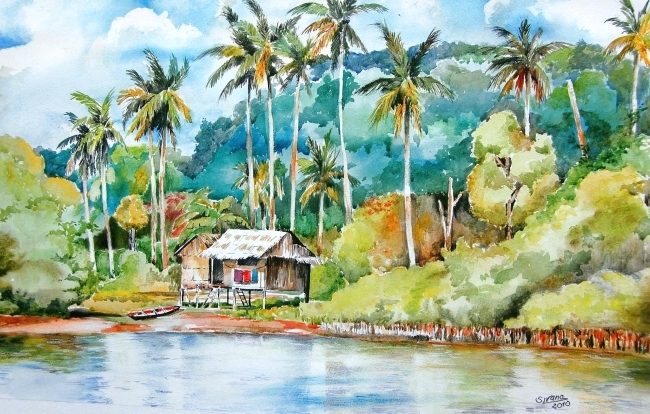 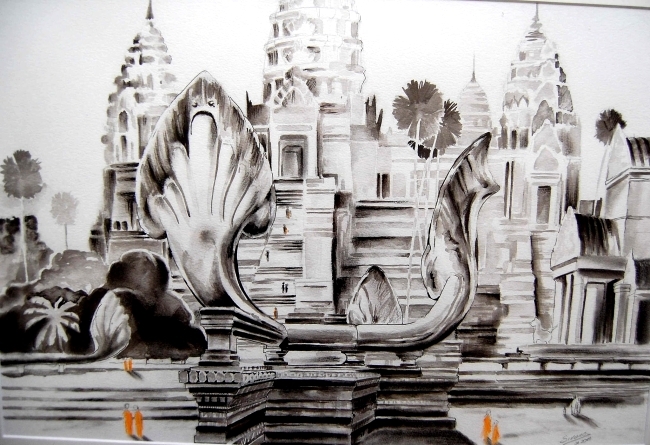 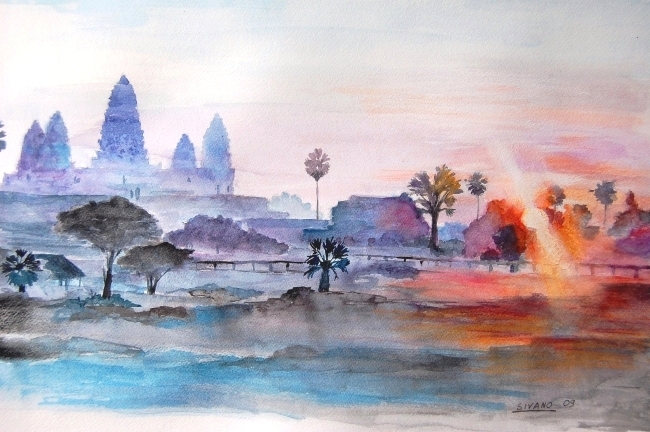 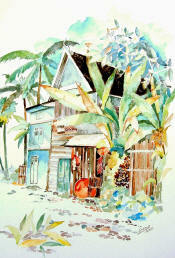 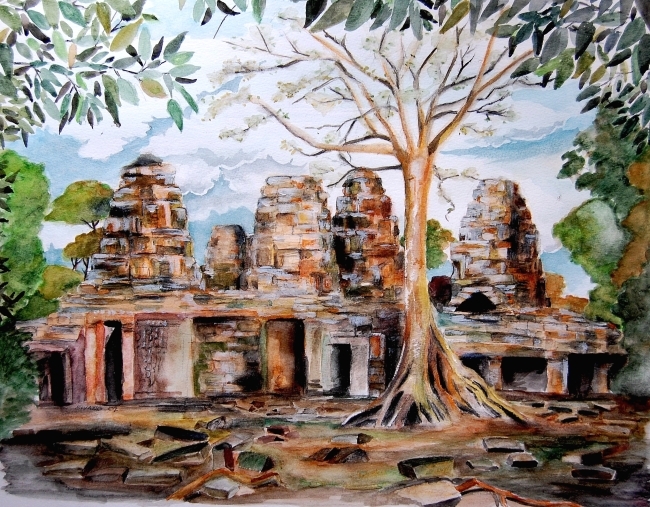 Aquarelle painting of Bantei Srey Temple. 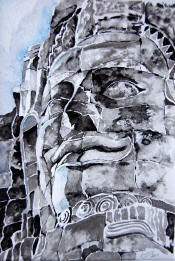 There is a $35.00 packaging and shipping fee for each picture. 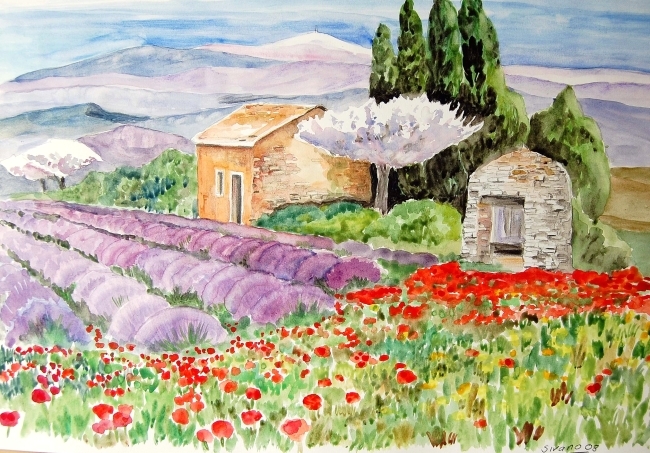 ch�teau en Provence avec champs de tulipes.